Dislocated shoulder injuries occur because of the very nature of the shoulder joint. It is the body’s most mobile joint, turning in many directions. That also makes the shoulder an easy joint to dislocate. Your shoulder may be partially dislocated, wherein the head of the upper arm bone is partially out of the socket, or it may be a completely dislocated shoulder, meaning it is all the way out of the socket. Both types of dislocated shoulder cause pain and unsteadiness in the shoulder. Your shoulder joint can dislocate in one of three directions – forward, backward, or downward. Forward dislocation is the most common. Dislocated shoulder symptoms include deformity, swelling, numbness, weakness, and bruising. Your dislocated shoulder may have torn ligaments or tendons, or damaged nerves. You may experience muscle spasms, making the dislocated shoulder hurt even more. A properly trained shoulder or sports medicine specialist can manipulate the upper arm bone back into the joint socket. This procedure is called a closed reduction. The severe pain stops as soon as the shoulder joint is back in place. Following the closed reduction, your physician may immobilize your shoulder in a sling for several weeks. You can ice your shoulder 3 or 4 times a day to help reduce swelling. Your doctor will prescribe rehabilitation exercises to help restore your range of motion and strengthen the muscles surrounding the shoulder joint. 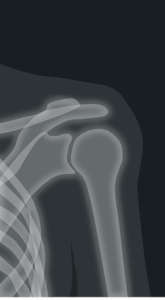 If shoulder dislocation becomes a recurring problem, your doctor may prescribe a brace for you. If these measures fail, you may need shoulder surgery to repair the torn ligaments.